iNacho is a mobile application (“app”) that provides customers the opportunity to find and rate nacho dishes in their neighborhood. Using the built-in GPS on the mobile device, customers can find restaurants with nacho reviews up to 50 miles from their current location. After deciding on a restaurant, users can then write their own review with pictures of your nachos! How does iNacho help restaurants? Currently, iNacho is already helping the restaurant business by encouraging customers to try different nacho dishes in their neighborhood. In this era of information, consumers are reluctant to try different dishes or restaurants unless there is a review available. 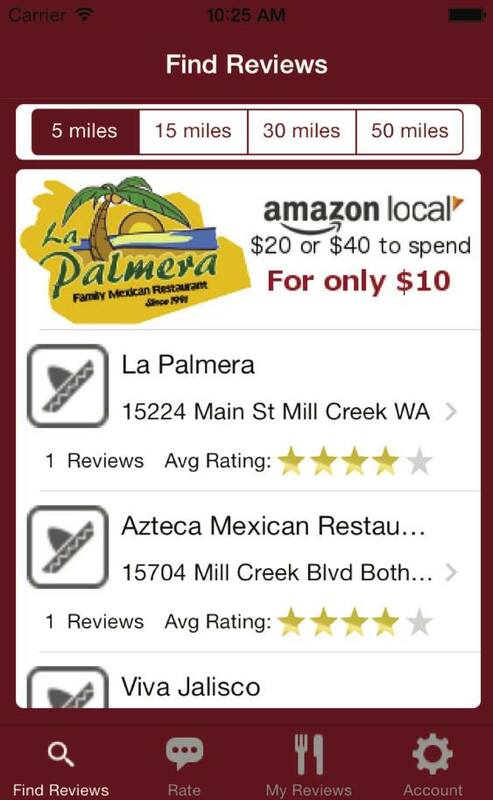 The iNacho app provides a convenient way to access, and write nacho reviews. iNacho is popular in the Seattle metropolitan area, and it continues to grow daily. More consumers are writing reviews on iNacho, and the highest-rated nachos rise to the top of search results. Can my restaurant be featured in search results? Yes, absolutely! Paid Promotions attract customers on more than just your nacho reviews. Paid Promotions stand out from the nacho ratings and can be used to advertise food discounts, drink specials, and even Groupon promotions that are already available. Don’t let your restaurant be lost in the nacho reviews! Rise to the top with a Paid Promotion. How do I setup a Paid Promotion? A promotional image – This should be a color 300x100 image advertising your logo or business name. Or, send us your special in summary - We can create the image for you! A website address – The address can link directly to your website, to a promotional page, or even to your Groupon promotion. we will work with you to determine a reasonable budget. Note: We accept bitcoin as well!